Home » cameras & camcorders and accessories with easy ordering and fast shipping. » camera accessories and accessories with easy ordering and fast shipping. » camera housings and accessories with easy ordering and fast shipping. » dust covers » external solid state drives » signage displays » LH46MEBPLGC/EN Samsung ME46B Digital signage flat panel 46" Full HD Black, Exdemo unit. Get your message across with more ease and efficiency than ever. Your Samsung LED professional display uses LED lamps around the panel’s edge, so this means the screen is thinner, uses less power and generates less heat. Installation is also much quicker and easier, thanks to its light and slim design which means it needs less support and can be carried easier. And, with a built-in media player, you can play your videos straight from USB storage. Not only that, but MagicInfo Lite software lets you schedule tasks, manage your content and set content to play automatically. You’ll find the new Samsung LED LFD is lighter than previous LFD models. Yet it offers heavy weight communication solutions for any modern business looking to convey concise marketing or educational messages. The Samsung ME series delivers a cost-effective solution that’s also gentle on the planet. The LED technology driving the LFD consumes less energy than conventional CCFL-based LFD and is lower on CO2 emissions.Plus, you can optimise the conditions of your digital signage by reducing the amount of heat radiating through the actual display area. Conventional LFDs emit consistent amounts of heat across the breadth of the display, while the new Samsung LFD not only minimise it but centralise it around the sides of the screen. This proves helpful in creating a more enjoyable environment to be in, especially when working in close proximity to the displays. In your day-to-day work, it’s a constant challenge to make sure your messages are noticed quickly with maximum impact. With the built-in media player for your Samsung LFD, you can elevate your display capabilities more than you ever thought possible. Built within a microchip the media player has a CPU with a powerful processing speed and an impressive cache size. 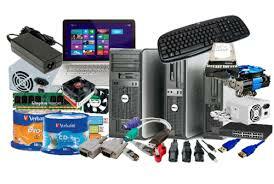 This means you can store and play advertisements, instructional films and animatics quickly and conveniently. The inclusion of our Samsung MagicInfo Lite software enables you to run the LFD as a stand alone unit without the need of additional players, display and schedule Flash or play a PowerPoint slide show and image files for increased versatility. Its features include Network Schedule, Network Schedule Manager, Local Schedule, Local Schedule Manager, Contents Manager, Internal AutoPlay and USB AutoPlay. The brightness sensor detects the ambient light intensity and automatically adjusts the screen brightness. The ME series lets you control your display with both Ethernet / RS-232C remote control simultaneously. What’s more it features a built-in LAN card, allowing users to access the network without the need for additional devices or infrastructure. This Samsung LFD gives you the flexibility to install your display vertically or horizontally—depending on your available space. Add to this a pivot function that rotates the screen 90˚degrees, and you have an accommodating and versatile display. IR (Infra Red) Receiver can be hidden. Function key is located on back, but when the finger touches it, the buttons are shown on the display providing easy user function control. Access a wide range of digital content for a more engaging user experience with our comprehensive connectivity options. Connect PCs and other compatible devices to display the content that is most relevant to your audience. The Samsung ME series includes professional Display Port interface enables high performance multi-display control without the need for a distributor over longer distances. (2 times longer than DVI).